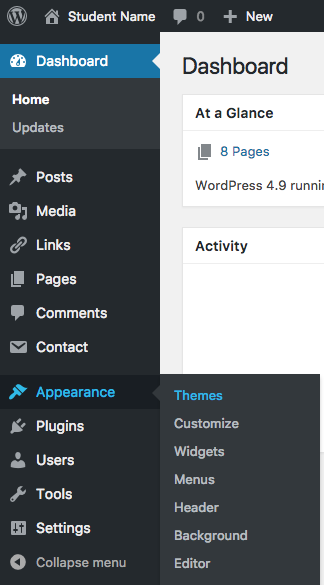 This document will cover how to add a theme from WordPress. 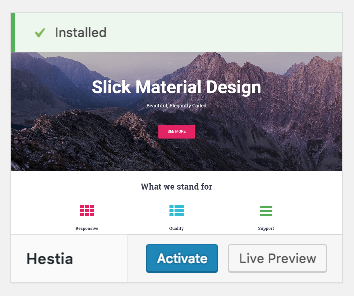 When you install WordPress onto your domain, it will automatically come pre-installed with a few themes. These are pretty good themes, and are really well documented, so if you encounter an issue it'll be easier to find answers to questions--however, if they're not meeting your needs make sure to take a look in the Themes area to add a new one. 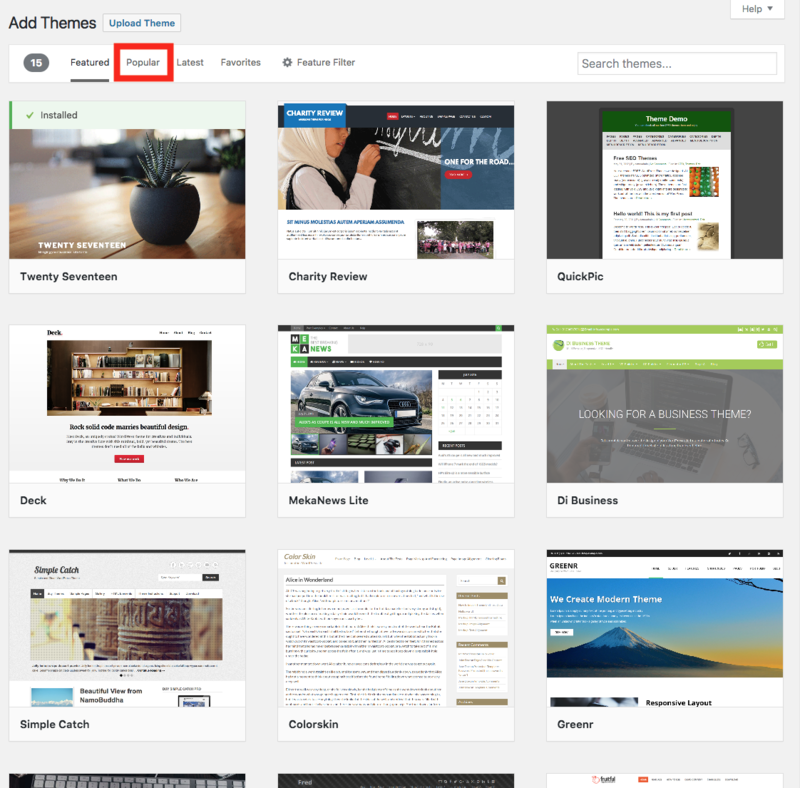 Start out on the Dashboard, and Navigate to the Appearance >> Themes tab. If you don't want to use one of the themes from the pre-installed ones, click "Add New" to view the themes. It's usually a good idea to use the Popular tab, because it'll ensure you will be able to find answers to questions about your new theme. * Remember: If you choose a theme that has a lot of images, you'll also have to find images to fill those sliders/widgets/containers. This is especially true for "Pin-board" themes that look like Pinterest. 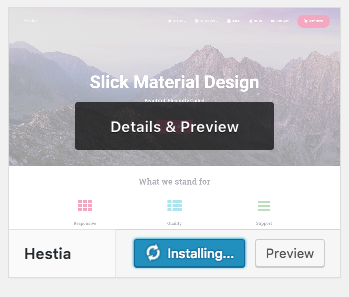 When you find one you like, Click the Install button (once you hover over it, the "Install" button will become visible), it'll progress from Install >> Installing >> Activate (which you will want to do to make the theme apply. *Remember that once you change your theme, any changes you made to the old one one will not apply to the newly-activated theme. 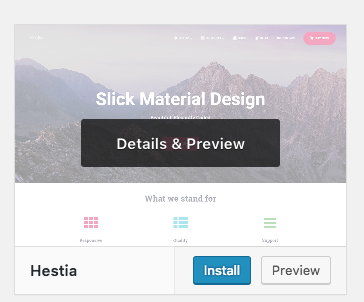 Menus might not be visible, and widgets might need to be re-added to footers, side panels, or homepages.